A Speaking Engagement with Clinton? Book It! 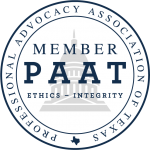 The Professional Advocacy Association of Texas is the only recognized statewide association for the lobby and government affairs community. © 2019 . All Rights Reserved. Site by Cooper.